The first vines in South Africa were imported from Europe and planted by Dutch governor Jan van Riebeek in 1655, in 1659 he wrote in his journal “Today, praise be to God, wine was made for the first time from Cape grapes”. Even though the South African wine industry is over 350 years old, it is only in the last 20 years since the fall of Apartheid that it has really made vast improvements and grown exponentially. The two main reasons being that after sanctions against South Africa were dropped, we have been able to import the latest state-of-the-art winemaking equipment and our young wine makers have been able to do internships abroad and bring valuable winemaking knowledge back to South Africa. 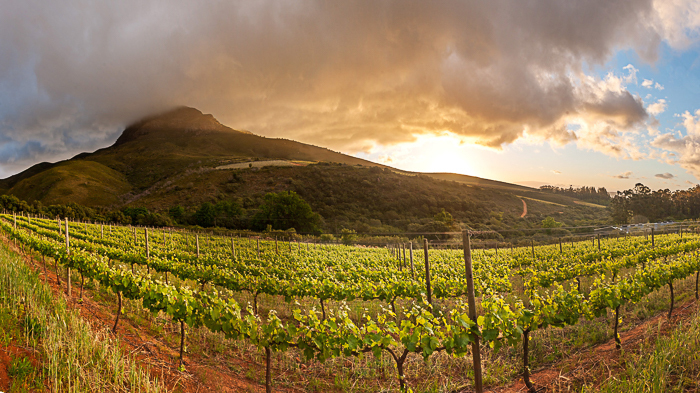 Location, location, location… Keermont’s terroir makes for fantastic grapes, leading to superb wines. So our wine industry is actually relatively young and to try and figure out where we fit in and what works best we are constantly experimenting with different varietals, terroir, winemaking styles, etc. 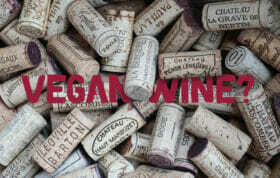 The latest craze getting wine enthusiasts excited is white blends. 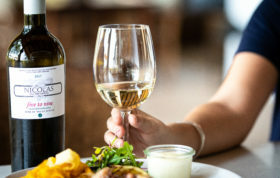 While South Africa has been making Bordeaux-style blends with Sauvignon Blanc and Semillon for quite some time, there has been a lot of experimentation over the last few years with white varietals originating from the Rhône Valley in France (Viognier / Roussanne / Grenache Blanc / Marsanne) with a large addition of Chenin Blanc. One such wine we have recently added to our wine list is a beautiful white blend called the Keermont Terrasse. Keermont’s setting is stunning. Here Helderberg looms large over the farm. Keermont Vineyards was founded in 2003 when the Wraith family purchased two adjacent farms, Fleurfontein and Keerweder III, between the Helderberg and Stellenbosch mountain ranges outside of Stellenbosch. Between 2005 and 2009 the farm undertook an extensive planting process bringing the total area under vine to 27ha. In 2007 the maiden release of Keermont was crafted in an old water bottling plant on the farm which in 2010 was converted into a fully functioning winery with a tasting room. Keermont is a true boutique winery which shows through their winemaking practices. They aim to guide their wines through fermentation and maturation as gently as possible to try and capture the essence of the fruit and terroir. They only employ traditional techniques and allow the yeast which naturally occurs in the vineyard to ferment the grapes. Acid and alcohol levels aren’t adjusted and wines are matured in seasoned French oak barrels before bottling without filtration. 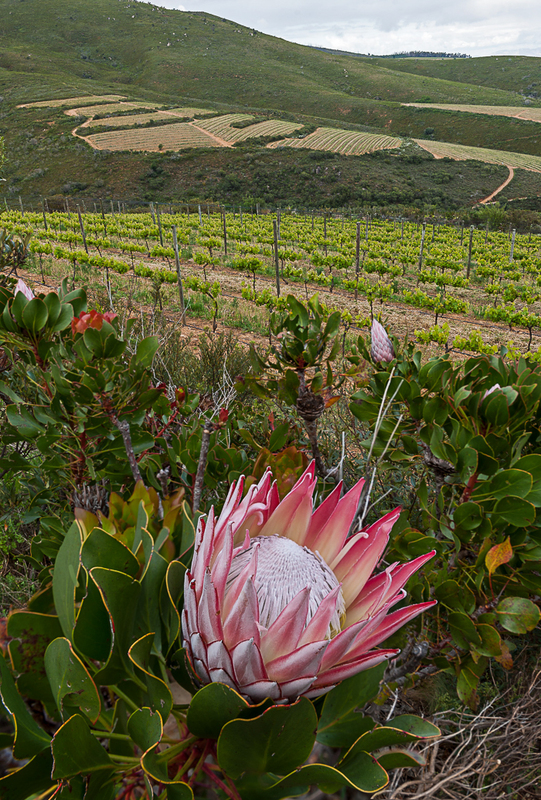 The vineyards are nestled amongst the natural fynbos. The Keermont Terrasse derives its name from the terraced vineyards in the Stellenbosch Mountains from which the grapes are harvested. The wine has a dominant Chenin Blanc component with the rest of the blend made up from Chardonnay, Sauvignon Blanc and Viognier. The Chenin Blanc is harvested from various blocks on the farm, the majority from a 43 year old un-irrigated vineyard called “Riverside”. A small component of this blend was fermented and aged in stainless steel tank with the rest fermented in seasoned French barrels and then matured for a further 12 months on the lees. The wine has notes of citrus blossom, hazelnut, apricots, lemon grass and butterscotch with a soft sweetness well balanced by racy acidity. It will pair beautifully with a chargrilled lime and Sriracha chicken skewer or a roasted red pepper soup. 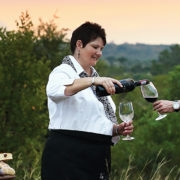 Written by Kim Drake, Londolozi Procurement and Controls Manager and Sommelier. It sounds like a delicious wine for summer. A beautiful farm. Great blog Kim. It is a great wine for summer afternoons, but at the same time a wine that goes wonderfully with food as well. Sounds like a nice wine Kim. 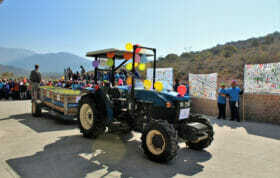 What a beautiful area their vineyards are situated in. We are getting more and more South African wines here in Canada now and it is definitely my favourite section of the wine store.